Designed exclusively for Kreoo by Enzo Berti, Shiro is a versatile, modular shelving system in wood and marble. Simple to assemble, it needs only two plugs for sturdy installation. As a bookcase, it can stand against a wall. It can also be used back-to-back, becoming a self-supporting, freestanding two-sided installation that makes a beautiful and functional room divider. Either way, the sheer drama of Shiro can make an entire room come to life. The harmony of horizontal and vertical lines gives Shiro a special ability to fill various living and professional needs. 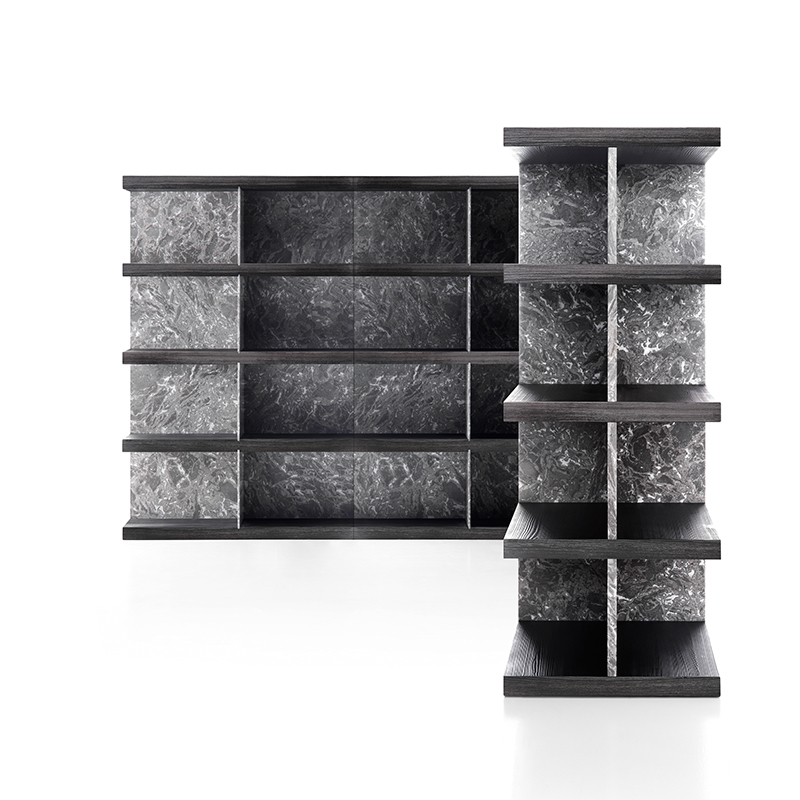 Ideal for art collections or libraries of special books, its monolithic yet sleek simplicity is the beauty of Shiro. Select from among Kreoo’s beautiful exotic marbles for the vertical planes, and select a tone of brushed larch for the horizontal planes from bleached to deep earth tones.